There are a number of reasons why you might want or need to reset your MacBook Air, even if this isn't something you'd normally do when your model is working properly. The most popular reason someone reset a MacBook Air is because they are sellling it. In this case, resetting your MacBook is essential, since you wouldn't want to hand over a repository of your personal data. In other words, you need to wipe your personal information and settings off the machine, so that you can sell it without putting your security and privacy at risk. This is perhaps the most common reason for why you'd want to reset your MacBook Air, but another major one relates to solving performance issues. 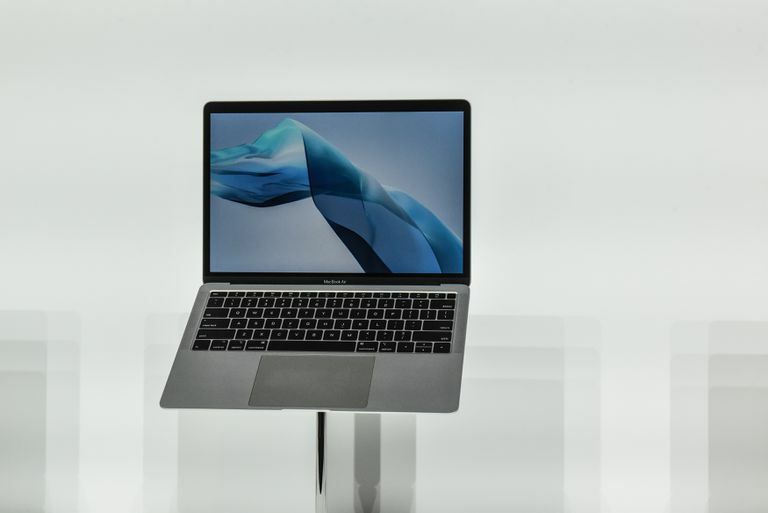 If your MacBook Air has been lagging and working slowly, AND you've tried every available option for tuning it up and improving its performance, then it may be time to try resetting it to its factory settings. This is a last-ditch strategy, but in many cases it works well. Once completed, the MacBook Air would be in a similar state as when it was first removed from the box. This article is for readers with a MacBook Air, but we also have an article on how to reset a MacBook Pro. First things first, you'll want to create a backup of your MacBook Air before resetting it, especially if you plan to reuse it again or to use your files and docs with a new Mac. After you've clicked Use Disk (or ON), Time Machine will soon begin a backup of your MacBook Air. Later, after your MacBook Air has been reset to its factory settings, you can restore this backup by re-connecting your external hard disk to the Mac and then following the onscreen instructions. Time Machine is generally recommended for most MacBook Air users, but it doesn't do everything a backup app could possibly. For example, even though it copies your files and apps, it doesn't create what's called a 'bootable clone' of your MacBook Air, which is something you'd need if you want to have your MacBook (or another MacBook Air) running exactly as it did before. As such, you might want to consider downloading a free third-party backup app, such as SuperDuper or Carbon Copy Cleaner. While a rundown of each and an explanation of how they work is beyond the scope of this article, a previous Lifewire guide runs through the best third-party backup apps available. There's one small but important thing you should do if you're resetting your MacBook Air for the purposes of selling or giving it away. This involves signing out of the various Apple services you're signed into on your Macbook, such as iTunes, iCloud and iMessage. That completes all the necessary steps you need to take if you're planning on selling your MacBook Air or giving to a friend or family member. Next comes the actual step of resetting it, as described below. In order to reset your MacBook Air to its factory settings, you'll first need to boot up your Mac in Recovery Mode. To do this, press and hold Command + R when restarting your MacBook Air or switching it on, keeping both keys held until you see the Apple logo. There is no Undo feature for erasing the SSD in your MacBook Air. Take care and make sure you've backed up all your data before clicking Erase. One last thing to note: if you're selling or giving away your MacBook Air, you'll want to stop after the installation has been completed, and NOT proceed with the setup of your 'new' Mac once you reach the Welcome screen. To stop after installation has been completed and leave the MacBook Air in its factory condition, you should press Command + Q, and then click Shut Down. If you do that, the next time the MacBook Air is turned on, it will start the setup process just like it did when it was brand new.